The font’s job is to be legible and scalable to make your project’s entire content including brand text, title headings, sub-heads look good and to strengthen your entire project story. The font should be read easily, quickly, and clearly. Here are 5 elegant fonts that you can use in your graphic designs. The fonts include Maven Pro, Freebooter Script, Ethnocentric, Simplifica and Avenir Next LT with all their available family members. 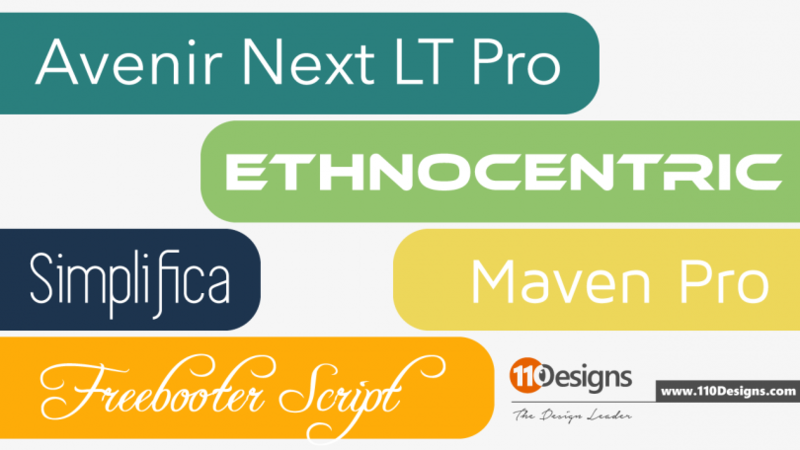 These elegant fonts will give your web page, graphic and logo designs, a stunning look. Grab these free fonts now and don’t forget to share it with your mates. These fonts are impossible to download. The page it takes you to is filled with garbage and offers for other downloads. It’s so confusing to try and find the orrect download link, I just gave up in disgust. If you are going to offer a genuine download, please make it accessible! Download link modified. You can now download the fonts.